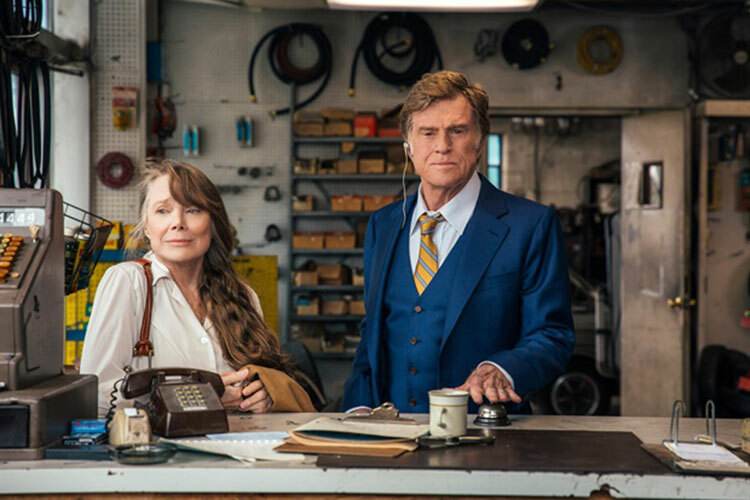 The following questions and answers are excerpted from a conversation that followed the NBR screening of Quincy. Can we talk about going through all of the footage? Alan Hicks: Rashida Jones and I directed this together. You guys may have seen Keep On Keepin’ On a few years ago. When we finished the movie, Rashida and I had been hanging out, and Quincy had become a part of that film. We toured around together for about a year, so we became friends. It was just a natural move to come forward and start a film on Quincy, which Rashida had already gotten working. We spent three years filming, and we went to twenty five countries with Quincy. We shot eight hundred hours of footage with him, and he had these archives in his basement. We found two thousand hours worth of archival footage in there. So, that’s two thousand eight hundred hours of footage in total. At the very beginning, Rashida and I had decided we didn’t want to do any talking head interviews. We wanted to build the story from Quincy’s past and sound bites from the period as much as we could. In the Frank Sinatra section those are sound bites of Frank from that period and some of Quincy from that period. Like when he had his brain aneurysm, there’s some sound bites from that era just to give that feeling, hopefully, of what Quincy was thinking and feeling in that period in his life. Rashida really wanted the world to feel like they’d spent some time with her Dad. How did you find the structure of the film while shooting for so many years? Quincy Jones: The mafia in St. Louis. AH: And, that would lead us to other things. It was like a puzzle. Then, we’d look for that footage, and we’d find it and it would be incredible. So, there was different ways he was able to help us. QJ: I spent most of my life around the Mafia, because they ruled the record business! What is important about mentorship to you? QJ: It’s the best. Benny Carter, Ray Charles, and all those guys put me on their shoulders. Miles Davis, too. So, it’s an honor for me to put the young people on my shoulders now. Really, I’m truly honored, because they wouldn’t be with us if they weren’t great. And, they are. We’ve got the most talented young kids in the world. Gypsy guitarist from Slovakia, Andreas Varady. Jacob Collier. Anybody ever see Jacob perform? He’s half Chinese and half British. He’s the most talented young dude I’ve ever seen in my life. You’ll be hearing about him. I promise you. AH: It’s been incredible, because I’m also a musician. I’ve also got this secret thing where I want to try and prove myself as a musician while I’m working on these films. And, doing something on Quincy you’re constantly going through the catalogue. What he did in just 1953 you could do a study on that. Every day working on the film you find out something new about the history of music. Some of my favorite musicians are on these recordings, and I could just go ask him and he’d tell me all of this stuff that’s the history of music. 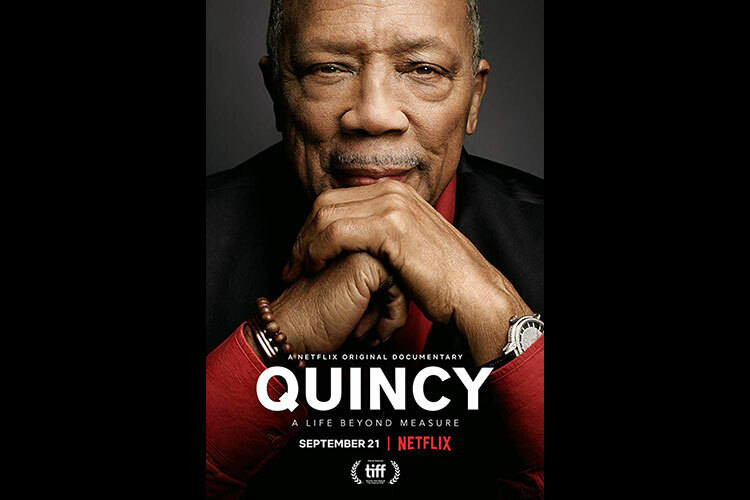 But, with how we did the music in the film, because Quincy has over 3,000 songs, Rashida and I decided we would only use Quincy’s music for the whole movie. We brought on a guy called Jasper Leak, who is this great musician and a producer as well. He organized all of that music, categorized it, put it in a spread sheet and was able to assign moods and instrumentation. So, we could go to him and say that we needed something bluesy, and he’d give us fifteen options with guitar and blues all across the span of Quincy’s career. Or we’d say we needed a big string number, and he’d give us twenty five options. Can you talk about some of the scenes in the studio? QJ: It’s hard work in the studio. The process is unbelievable, you know. Again, it boils down to the bottom line: love, respect, and trust. Because, when you tell a Sinatra or Ray Charles to jump without a net, you better know what you’re talking about. Or you’ll get slapped. It’s always been so positive. How much further can jazz go? QJ: Have you heard Joey Alexander from Indonesia? He’s fifteen years old, and he plays like a fifty year old Herbie Hancock. It’s frightening. It’s all over the world, man, and I saw it start in the forties and fifties. Blues and Jazz started to take over. After big band, there was bebop, doo-wop, hip-hop, lap-0top. (laughs) It never stops. I did the first synthesizer on the theme for Ironside. That’s the first one the world ever heard, you know. We had the first Fender bass in 1953. Leo Fender brought it to us, because that bass made the electric rhythm section. Without that, there’d be no rock n’ roll or Motown if you didn’t have an electric rhythm session. So, it’s a lot of science involved too, and it’s always on a parallel path. Will technology be able to make art without the artist? QJ: No. They created a computer that could make film scores. They would do one record for $250,000. I said I’ll work for half of that! It’s interesting, because I’ve seen all of these things come. We were the guinea pigs for all the synthesizers. You know YC-30, YC-45, YC-60, the G-2. All of that stuff. There were fourteen of us. And, the factories in Japan would send them to us to find out was going on, because they kept wondering why we weren’t using the technology. It was because it creates an electronic sound that you could sculpt it into a sign wave which is smooth or a saw tooth which is rugged. But, the big problem is that it doesn’t bend, and if it doesn’t bend a brother ain’t going to touch it, because it can’t get funky. It’s that simple. Like ProTools. ProTools is amazing stuff, and all the hip-hop people use that. But, if you don’t know what you’re doing, ProTools knows it right away. If you know what you’re doing, the machine works for you. Can you talk about the editing and the structure of the film? AH: We were kind of editing while we were filming. We did a year of prep with the footage before going into the edit, and then a year and a half of editing with multiple editors. One of the great things that kind of naturally happened with this was that we were able to surround the movie with musicians. Rashida is a musician. I’m a musician. One of the editors was a musician. The music supervisor was a musician. So, you’ve got that other take on filmmaking that comes from a collective like that. Part of playing music is not having it feel sluggish; never having a song feel like it’s dragging. So, that was really high on everybody’s radar. Finishing the movie when we felt like it was finished instead of saying let’s quickly finish the movie. And, then letting the scenes really speak to us. It was a complicated construction. Not doing interviews made it much more difficult in the edit. To have the parameters and be creative within it was actually a tougher go, but in the end everyone felt really good about how it was pacing out.